Join us for our Annual Meeting and Audubon Afternoon on Sunday, June 10, at the National Wildlife Federation Building in Reston. 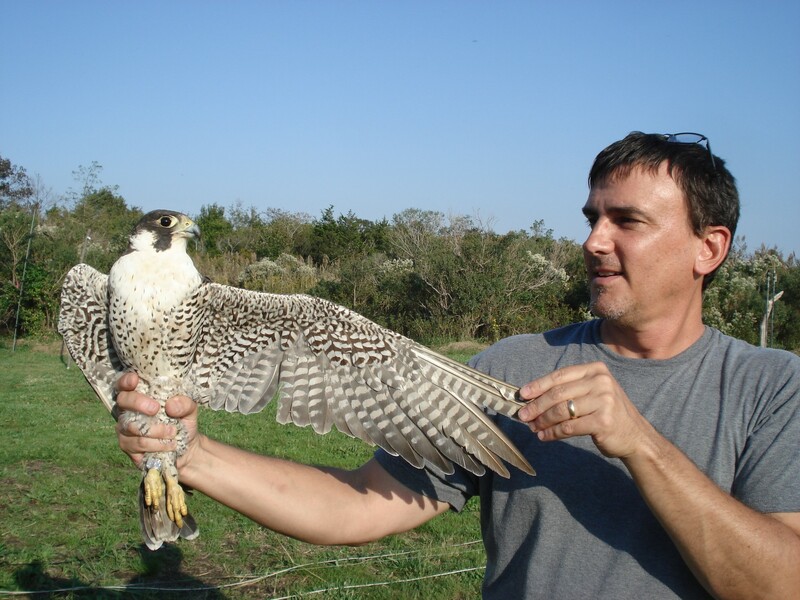 Business meeting begins at 3:00, and then John Shafer will be talking to us about raptors and raptor identification. See below. Come at 2:30 to catch up with old friends. Congratulations to the six recipients of funds under the National Audubon Society Plants for Birds Burke Grant program. The funds were awarded by/through our Audubon at Home program and the Plant NoVa Natives campaign, and will be used by the six faith communities to purchase native plants to create demonstration wildlife-friendly gardens. Click here for more information. A huge thank you to Sam Schaen and Marilyn Gaizband, who have been our dedicated and utterly reliable Webmaster and Newsletter Editor through thick and thin for eight years, and who are now leaving the area and passing their stewardship on to new volunteers. Thanks to their enthusiasm, energy, and expertise, we’ve been able to make many, much-needed upgrades to both the website and the Potomac Flier, and they leave us in much better shape than they found us. They promise to stay in touch, and to continue to share their photographs. Kudos to Glenda Booth for an excellent article on Loggerhead Shrikes on the Virginia Department of Game and Inland Fisheries web page. Her piece features research by Sergio Harding, who was a recent ASNV Audubon Afternoon speaker. Elections for Officers and Board of Directors will be held at our Annual Meeting on Sunday June 10, 2018. Following are our candidates. Bios for the new candidates can be found on the ASNV website. Join Marc Ribaudo for an evening class and accompanying field trip that will cover Identifying Shorebirds. The class is recommended for anyone who would like to tackle shorebird identification on their own. Primaries will be held around the state on June 12 for many offices, primarily local and federal. On November 6, Virginians will elect 11 members to the U.S. House of Representatives and one person to the U.S. Senate. To learn who is running, visit the State Board of Elections site. Be sure to note deadlines for registering and voting absentee. Campaigns provide advocates opportunities to learn candidates’ views and proposals and opportunities to influence them. Click here for the scorecard for how members of Congress voted on conservation legislation. Virginia conservation leaders will gather on September 7 and 8 in Williamsburg at the College of William and Mary for the annual Environmental Assembly, an opportunity to learn about key issues and strategize with allies on how to address environmental threats. Hosted by the Virginia Conservation Network, of which ASNV is a member. For more info, email admin@vcnva.org or call 804-644-0283. Note to advocates: To reduce your carbon footprint, take the train to Williamsburg.